There’s not a better start to a morning than seeing a double rainbow while you drink your morning coffee! 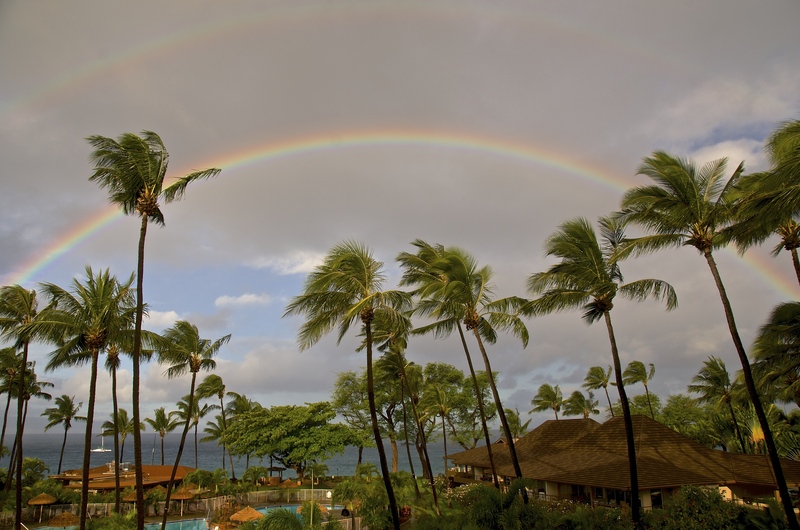 It didn’t take long to figure out to always have a camera beside me while I drank my morning coffee as we saw whales almost every morning from the lanai at Maui Kaanapali Villas, but this double rainbow was the icing on the cake. No wonder a tear or two rolled down my cheek watching the sunset on the last night of the trip – it’s just that kind of place!!! 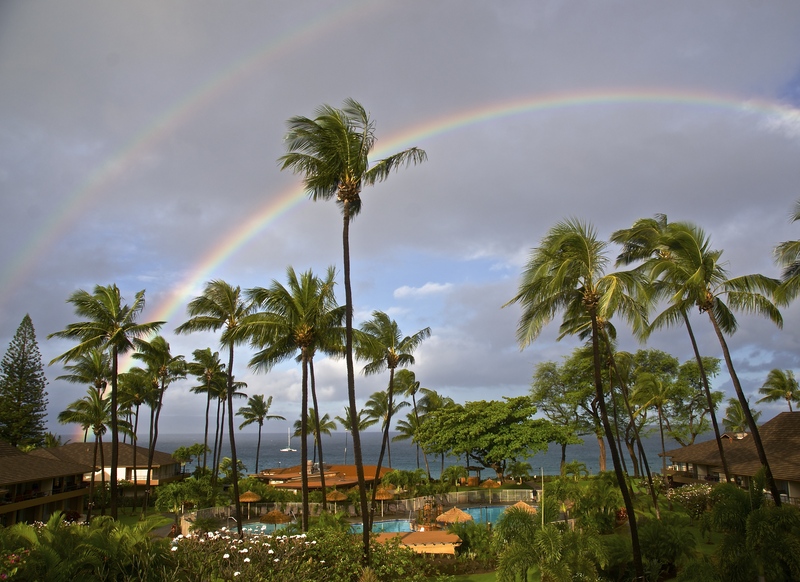 This entry was posted in Maui, Photography, Travel, Writing and tagged double rainbow, Hawaii rainbow, Kaanapali Beach, Maui Rainbow, photography, rainbow at Maui Kaanapali Villas, rainbow over the Pacific Ocean, tropical rainbow, wonders of Maui. Bookmark the permalink. What a stunning photo! I love the storm clouds and the rainbow and the windswept palm trees!